by artist Jackie Jacobson transformed into a beautiful ceramic tile coasters. Watermelon painting is from the recent food series of paintings by artist Jackie Jacobson. 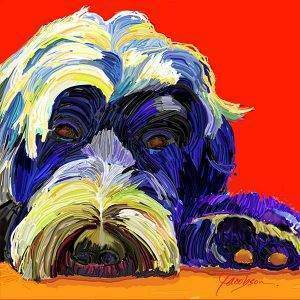 When Jackie first started painting for print reproductions, food was the most popular theme. 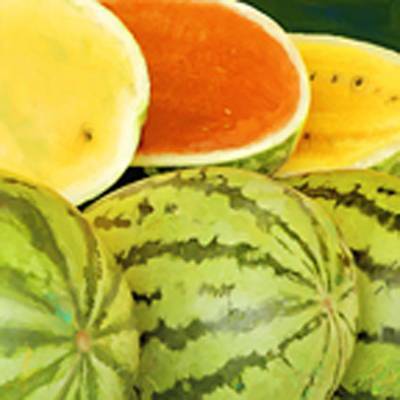 Jacobson has returned to painting the colorful food images, with this distinctive tri-color watermelon. It’s a mouth watering delicious painting and groups well with other fruit paintings to make a cheerful table. 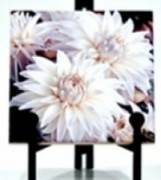 Each coaster can be displayed on an easel and shown off as a fine art painting on tile.